Believe the hype and grab this darkly comedic tale of 2 sisters—the younger, beautiful, favored sister with a predilection for killing boyfriends and the steady older sister who’s left to clean up the mess. 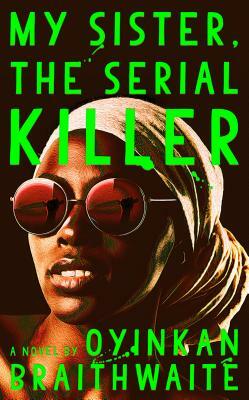 A smart, funny tale of murder by a fresh new voice in crime fiction. No one delves into the dark side of the female psyche quite like Abbott. Two young women are in competition for the coveted academic research position they’ve worked towards for years, but a long-buried secret from their shared past threatens their ambitions. An economics professor and best-selling author with a burgeoning media career is accused of inappropriate conduct by a college intern. Initially his wife stands by him, insisting the accusations are false—but when the intern disappears, the wife is forced to take a closer look at the man she loves and the seemingly perfect life they’ve created. This masterwork of modern noir evokes the shadier side of summer with this searing tale of secrets and passion. 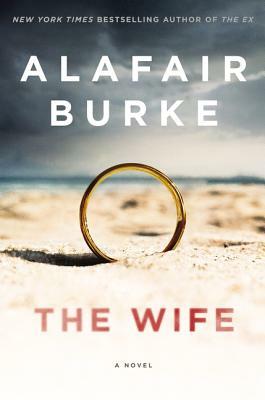 A woman who has just abandoned her husband and daughter on a family vacation begins an affair with the private eye who was hired to follow her. What ensues is a twisted tale of betrayal and murder that leaves the reader guessing till the very end. 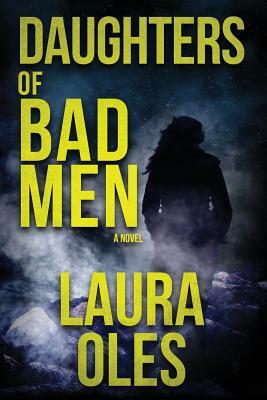 Women are disappearing in and around Austin, and newly minted FBI profiler Caitlin Hendrix is called to investigate what appears to be the work of a serial killer. Her investigation zeros in on one individual and Caitlin has to use all her skills to bring him to justice. 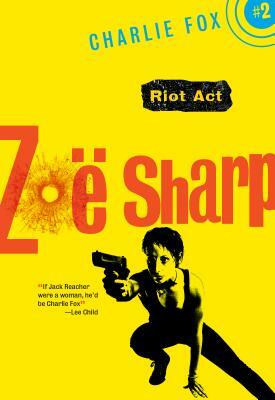 This gritty and suspenseful debut introduces us to Jamie Rush, a skip tracer with a particular set of skills she learned from her somewhat shady family. 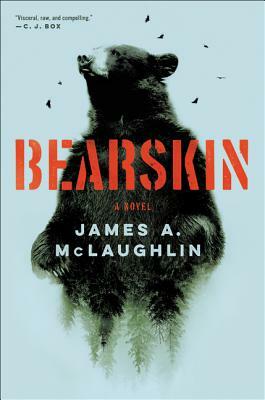 When Jamie goes looking for her missing niece, she finds herself in the middle of a dangerous turf war. When a visiting physician is brutally mauled by a pack of vicious dogs, acting Police Chief Samuel Craddock suspects there may be a dog-fighting ring operating in Jarrrett Creek. He balances his careful investigation with the appearance of a new woman in his life and the appearance of a new puppy. Shames’ considerable talents for portraying the darker side of small towns are on full display. 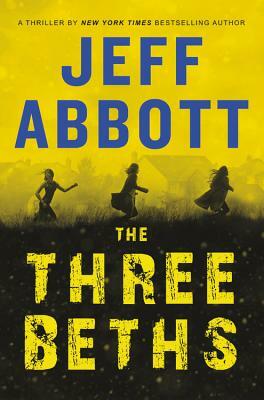 In this follow up to Hollow Man, the titular Austin-based British prosecutor—who happens to be a psychopath—will go to any length to keep his past crimes hidden. It’s a testament to Pryor’s talents that the reader can’t help rooting for this cold-blooded killer. Three women named Beth disappear from Lakehaven, an affluent suburb of Austin. Coincidence? 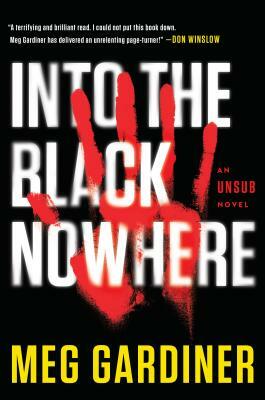 Read this gripping, twisty psychological thriller and see for yourself. 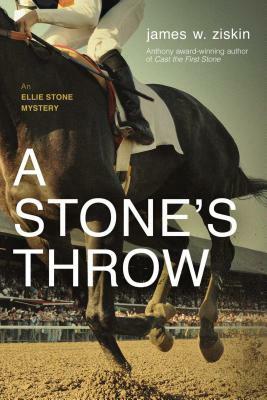 Ziskin’s intrepid 1960’s girl reporter is one of my favorite characters in the genre, and in this latest she investigates a double murder at an abandoned stud farm in upstate New York located just a stone’s throw from the glamour of Saratoga Springs. Ziskin is particularly adept at unspooling a perfectly paced thriller with his uniquely lyrical voice. Scott Butki reads about 70 books, and interviews about 30 authors, a year, while also using book discussions to help create change and educate, particularly in social justice areas. An index of his interviews with authors is here. These first two I read this month for upcoming interviews in MysteryPeople. Both books come out in January 2019. No Mercy by Joanna Schaffhausen – I was hooked as soon as I read the opening line: “You kill one guy, one time, and suddenly everyone thinks you need therapy…” The protagonist, a police officer, is famous because she killed a particularly brutal murderer. He’s in prison, she’s involuntarily suspended. While dealing with harassment, unwanted attention and personal threats for her actions she’s pushed to join a group therapy consisting of other survivors of terrible crimes. As she and an FBI profiler began to investigate the cases of two of the survivors in the group they find thing are not as simple or clear as one would expect. There are many twists and turns as well great character development. Scrublands by Chris Hammer – The author, a former journalist, writes about a journalist, Martin, sent to a drought-ravaged town in Australia where the one year anniversary of an event is coming up: A year earlier a priest stood on the church steps with a gun and shot several people before being killed himself. Martin finds things are not as it seems as far as the story told about the incident and while investigating there’s fires, a fatal car accident and he falls in love with a local resident. The old journalism rule about not becoming part of the story is broken repeatedly. This book has twist after twist including Martin publishing stories that seem accurate, at the time, but soon turn out to be otherwise. This is great writing that will keep surprising you. 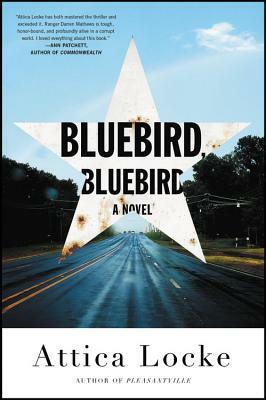 Bluebird, Bluebird by Attica Locke – There have been plenty of white male authors who have written about real or fictional white male Texas Rangers. But in 2018, and for the next few years, I vowed to read less books by white males, both to coordinate with anti-racism work I do, and to get the perspectives of writers who might be outside my usual comfort range. That led me to this great novel. 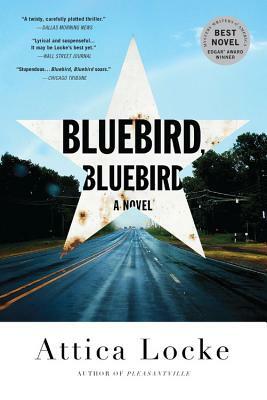 With Bluebird, Bluebird, Locke, a black female author, writes about a black member of the Texas Rangers as he tries to solve a double murder of a white woman and black man in a town filled with Aryan Brotherhood members and local law enforcement who wants to ignore the racists and the drugs they deal. 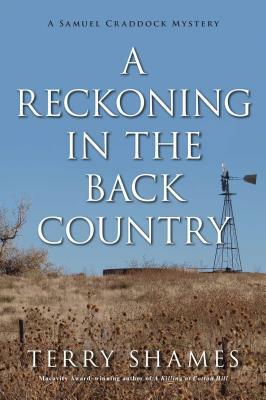 With Ranger Darren Mathews, a native of east Texas, Locke has created a fascinating character who is torn between doing the right thing and doing what law enforcement, both local and the state, is telling him to do. All this in a backwater town that used to be a plantation. 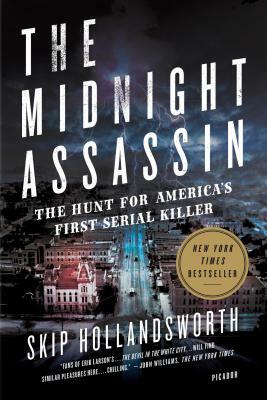 Midnight Assassin: Panic, Scandal And The Hunt For America’s First Serial Killer by Skip Hollandsworth – I don’t usually go for true crime books but this was an exception: A book about a serial killer in Austin, TX, believed to be the first known serial killer in the United States. This is an excellent, true account of a weird infamous part of Austin’s history, that there was a serial killer in the late 1800s back before serial killers, finger print analysis, etc. was a known thing. To read this is to see how backward things were, from police trying to stop the killings by repeatedly arresting innocent black men, even when they were victims of the crimes, to how they would treat, or mistreat, crime scenes. After each killing, local leaders would walk all over the crime scene and when someone would finally bring a bloodhound it couldn’t even get a scent. The killer was never caught but the killings stopped. Some think the killer may have been Jack the Ripper because after the killings stopped in Austin the killers began in London and there were similarities. The book is full of color and great details. Splinter In the Blood by Ashley Dyer – If you like mysteries with lots of twists you need to read this book. The story starts out with a bang, literally, with a scene in which Detective Chief Greg Carver, the lead investigator of a serial killer named the Thorn Killer has been shot. He is sprawled on his seat in his own home. OK, maybe there are other mysteries that have started this way. But I’m not done setting the stage because Carver remembers the shooter standing in front of him. Soon, by the end of the next chapter, he has remembered who shot him: His partner, Sgt. Ruth Lake, who after shooting him takes away his files, compromising the crime scene. As the book proceeds there become two investigations: Who shot Carver and who is the Thorn Killer? Lake, of course, doesn’t tell anyone what she did, and is not supposed to be working on the former investigation but can’t stay away. I interviewed the author for Mystery People here. 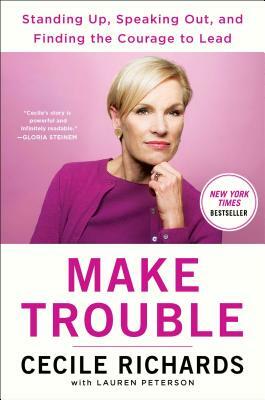 Make Trouble By Cecile Richards – I was looking forward to reading Cecile Richards’ memoir even before I was given the generous offer to interview her about it for BookPeople. The book has something for everyone. Want to know what it’s like to be the daughter of former Texas Governor Ann Richards? Check. Want to know what it was like for Cecile to testify before a Congressional panel over those bogus fetal tissue videos? Check. Want to know what Cecile is going to do next, now that she’s stepping down as leader of Planned Parenthood so that someone else can step into that role? Well, that’s one thing that’s not in the book, but it’s a question you can expect authors, including me, to interview her about. 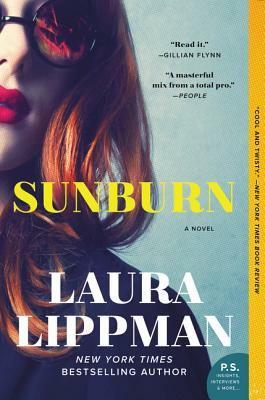 Sunburn by Laura Lippman – Lippman can do no wrong in my book and this novel is definitely one of my favorites. I have read all of Lippman’s novels (about 25 of them) and even got to interview her for some of her earlier ones, back when she was writing her Tess Monaghan series. Since Lippman, a former newspaper reporter for the Baltimore Sun, switched to stand-alones her books have garnered her, deservedly, more praise and acclaim as well as getting some of her books on the New York Times bestseller lists. I’d encourage you to check out any of her books as they have fully developed characters, great plots, good twists, and excellent dialogue. For her latest book, Sunburn, she crafts another great story, set up in a way so you, the reader, have no idea where things are going to go. As the book starts a guy named Adam is meeting a woman named Polly in a small bar in a dive town, Belleville, Delaware. He’s interested in her from the start and while we think it’s just a brewing romance we gradually realize he’s also investigating her. Polly has an even more complicated story. She has, we learn, just walked away from her husband and daughter and it was while leaving them that she stopped in this city. We gradually learn more about why she left, why Adam is investigating her and why a third and fourth person are also paying attention to Polly’s actions. It’s a great page-turner, one which is difficult to put down. White Fragility by Robin DiAngelo – This author has written a great new book, White Fragility, a term she coined years ago. In it she not only explains in depth what the term means and how to address people when they are experiencing it but she covers many other issues about racism, specifically regarding white people working on their own racism-related issues. I confess to having a few “a ha! she said it too!” moments when she said things which I’ve been saying in anti-racism work I do at my church and in discussions about books about race such as this. The reality is those are often the people who need the most work, need the most help. These are the folks making microaggressions, not realizing how their works and actions can be hurtful, people who can and do learn a lot when they accept they can be educated in this area. One of my mantras in this work is that the focus should be on the impact, not the intent, a topic she also touches on. It’s easy when someone white says or does something racist to retreat to the position of “but that was not my intention.” That good intention, though, does not change the impact on the person harmed. Think before you speak and act about whether your well intended actions may be perceived or taken in other ways. This is why she and I and others talk about this work being uncomfortable and difficult for it’s in those places where the real work is done. The work done in polite conversations is often of less depth and doesn’t usually go far enough. I encourage you to read this book, join discussions and conversations about this and other books about race and open yourself up to doing work that may be uncomfortable but can potentially be life changing. Among the Ruins by Ausma Zehanat Khan – This is the third in the author’s engrossing series about Esa Khattek and Rachel Getty, who work for Canada’s Community Policing department. In this new book Esa is on leave, traveling in Iran when the Canadian government asks him to investigate the death of a renowned Canadian-Iranian filmmaker. This gives the author an opening to talk about Iranian culture. Parts of the book are based on real life events including the disputed 2009 Iranian presidential election. The series does an excellent job of providing a mystery-thriller while also educating the reader. 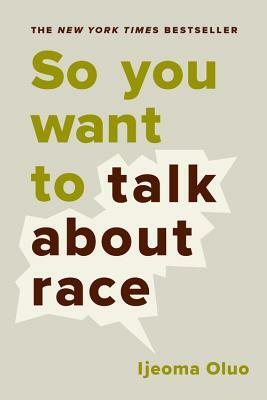 So You Want To Talk About Race by Ijeoma Oluo – I have read a lot of books about race and racism while doing antiracism work in recent years and this is the best one I have come across yet in terms of being prescriptive. It is by a woman of color who addresses all the questions folks have, from “How do I know when an issue is about race?” (answer: if a person of color says it’s about race then it’s about race), “how do you address those who try to switch debates of racism into debates of classism?” (point out that the tools we need to destroy classism are not the same as those needed to stop racism, not to mention the reasons a white person might be working class might be different than those of a person of color), “What if you mess up when talking about race?” (You will, don’t sweat it,) etc. I have personally recommended this book to about 50 people and led two book discussions on it. A Man Called Ove by Fredrik Backman – Reading this was a wild ride. I could not get into the story or the main character of Ove but persevered since I was reading it for a book club. Then the last 30 pages had me all crying and emotional as I realized the book had affected and touched me way more than I realized. Others I know had similar experiences. Robicheaux by James Lee Burke – One of his best books in years and with my favorite protagonist of his, Dave Robicheaux. All of his books have amazing prose and descriptions to die for but this one has an even better plot than usual. I was lucky enough to interview him about his new book here. Chasing Hillary: Ten Years, Two Presidential Campaigns, And One Intact Glass Ceiling by Amy Chozick – The author covered Hillary’s campaigns first for The Wall Street Journal and later for The New York Times. She does an amazing job explaining what it is like to essentially put your personal life on hold while you, yes, chase Hillary, along with lots of other reporters, from event to event, struggling to find new ways to report daily on the campaign even when the speeches are identical. For me, who entered into journalism in college thinking one day I would be covering presidential campaigns for The New York Times, the most interesting parts involved having to deal with a campaign staff trying to manipulate her and editors not always on the same page as her, not to mention what it was like when the campaign, and the journalists covering it, realized their polling involving Trump was so off. 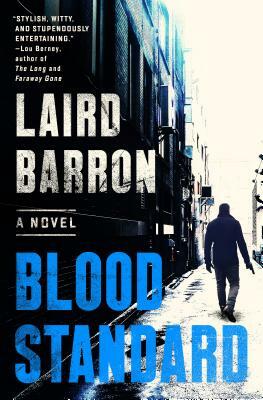 This year’s Texas crime novels all came from series, even one not normally set in Texas. Even our fiction is too big to fit in one book. I will admit some bias may have played a part, seeing that only one novel doesn’t have at least one passage set in Austin. 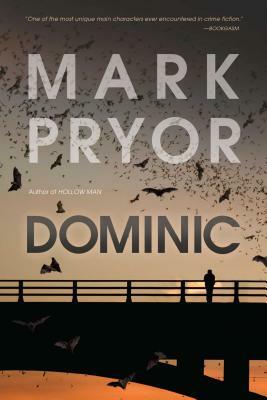 Austin’s sociopathic prosecutor is back, tying up the loose ends of his crimes in Hollow Man. Pryor creates the unsettling, yet no less entertaining feeling of collusion with his anti-hero. Scott’s follow up to his no-holds-barred border noir, The Big Empty, has his lawmen going up white supremacists and bad history. Scott’s knowledge of history and people on both sides of the law gives a gritty epic feel to his work. 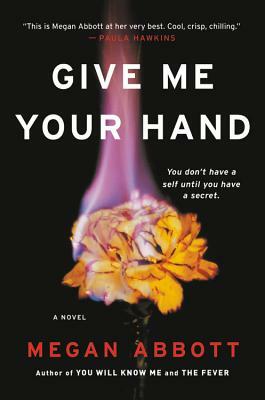 Gardiner’s second book to feature Caitlin Hendrix has the newly minted FBI agent chasing down a charming, Ted Bundy-type killer who operates along I-35. Meg truly brings the creepy to this one. What seems like a simple fraud case for Austin legal videographer Roy Ballard puts him in a crossfire between criminals. A fresh take on the traditional PI novel with great use of Austin locations. The police of Cedar Springs get split up with different cases involving murder, cattle rustling, and a biological agent the CIA may be involved with. A great look at Texas in sixties. A chapter featuring The Broken Spoke is worth the price alone. When the term “Texas writer” comes up it’s hard not to think of Joe R. Lansdale. His voice, humor, and knack for entertaining make him one-of-a-kind, but here are some that come close for that Lansdale fan you may be holiday shopping for. Tim Bryant – A former student of Joe’s, Tim Bryant has turned his unique voice toward his series character private detective Alvin “Dutch” Curridge, whose beat is postwar Fort Worth, brought alive by its music and people (First Book- Dutch Curridge). He also has a couple of great westerns featuring John Wilkie Liquorish a psychopath who becomes a hero in The Flashman vein. Bryant has colorful characters to spare and one hell of a voice. Frank Bill – Much like Joe Lansdale, Frank Bill uses the vernacular of his region, Southern Indiana, as a part of his tales of crime and violence. His short story collection, Crimes in Southern Indiana, and Donnybrook, a novel of several ne’er do wells on their journey to an illegal fight competition, not to mention it’s apocalyptic sequel The Savage, which will unsettle you in the best way. Ralph Dennis- Dennis created the Hardman series in the seventies. Its lead, Jim Hardman, was a disgraced ex-cop working the mean streets of Atlanta as an unlicensed PI with his more able-bodied back up, ex-NFL player Hump Evans. Gritty and blue collar with great banter between the two men, this series served as an influence on Lansdale’s Hap and Leonard. 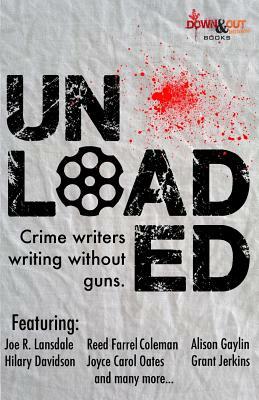 Anthologies serve crime fiction fans in several ways. For those new to the genre, it’s a quick way to get a survey of authors you like. For experienced fans it’s a way to find new voices and see what your favorites can do without the constraints of a novel. If you’re holiday shopping for someone or getting an anthology for yourself, here are three great ones that fit the season of giving with the proceeds going to some fine causes. 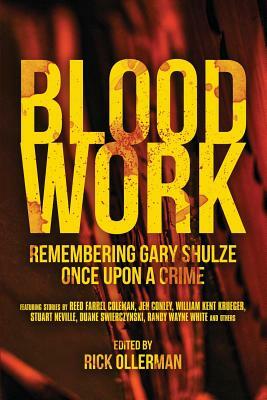 This collection was put together as a tribute to the memory of Gary Shultz, the owner of Once Upon A Crime, a mystery bookstore that championed many a writer. A lot of big name talent, including William Kent Kruger, Randy Wayne White, and Duane Swierczynski payed their respects with a story that had to involve a book, bookstore, or tuba, which Gary played. Money goes to The Memorial Blood Center Of St. Paul, which is credited for saving his life many times. The book will also introduce you to some great new talent like Jen Conley and Nick Petrie. If you like rough fiction these two volumes of over forty stories each from the likes of Andrew Vacchs, George Pelecanos, and Roxane Gay is right up your dark alley. Glen Grey’s story in the first hits you like a gut punch and the people are still talking about Joe Lansdale’s in volume two. 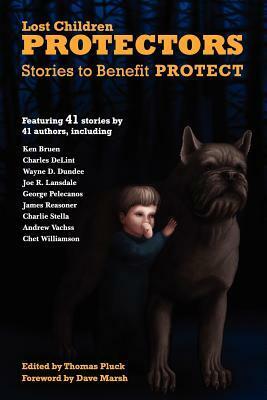 And these dark stories help fight the darkest of crimes with proceeds going to PROTECT an organization funding and lobbying for the fight against child abuse. 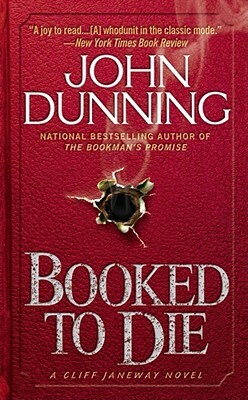 This book, which helps fund States United To Prevent Gun Violence, used its cause as a challenge to its writers to each write a crime story without a gun. This didn’t stop many from finding other brutal ways to commit homicide. Allison Gaylin’s dark look at fandom is a standout. Other contributors feature the like of Joyce Carol Oates (who also appears in Protectors), Joe R Lansdale (also in both Protectors volumes), and MysteryPeople favorite Reed Farrel Coleman (appears in Blood Work and Protectors 2). First, if you don’t see a doctor. If there is any complaint about this author of exquisitely dark fiction that puts noir in a female perspective it’s that she doesn’t have as high an output as her contemporaries. If you need something to read between books or getting a gift for that Megan Abbott fan, here are some like minded authors doing some great things with the genre. 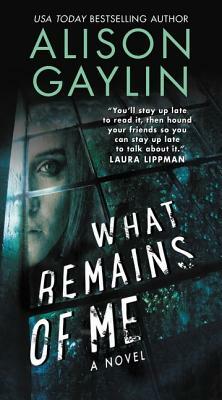 Allison Gaylin- Few cut into the dark side of family and “ideal” society like Allison Gaylin. her plotting is both complex and clean with stories that often don’t truly reveal themselves and their characters until the final paragraph. Either her Hollywood thriller, What Remains Of Me, or her look at crime and community in the social media age, If I Die Tonight, this reader will take you down some dark emotional paths, having you enjoy it all the way. 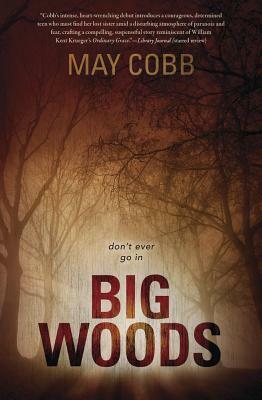 May Cobb- Consider her the Pine Curtain Megan Abbott using the East Texas setting to provide the gothic mood for Big Woods, her debut novel dealing with a young girl looking for her sister in her small town during the eighties scare of satanic cults. She builds incredible tension in her relationship between point of view and setting. Patricia Abbott- Yes, she is related. Megan’s mother proves she shares the gift of dark mood and compromised characters. 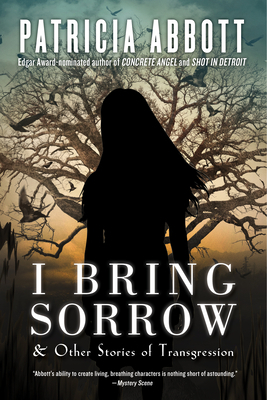 Her gifts as a short story author an be found in the collection I Bring Sorrow: And Other Stories Of Transgression and she is also an accomplished novelist with her books Concrete Angel and Shot In Detroit.